The Monday September 25, 2017 issue of the Minnesota State Register (Volume 42, Number 13) contains an announcement of a Request for Proposals funded through the Legacy Amendment’s Statewide Survey of Historic and Archaeological Sites. This project is an archaeological survey of Watonwan County, Minnesota. Proposals are due on October 19, 2017. 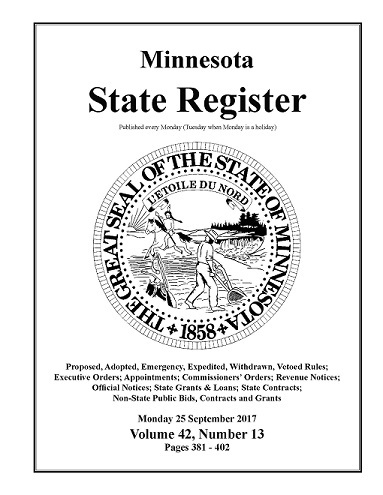 To learn more you can find this issue of the State Register at https://mn.gov/admin/assets/SR42_13%20-%20Accessible_tcm36-312533.pdf The RFP is on page 396 of this issue.